Improving the daily training environment at the top youth soccer clubs through developing best practices and training and organizational guidelines for its member clubs. GOAL: The goal of the Elite Clubs National League is to change the landscape for elite soccer players in the United States through innovative, player-centered programming and to enhance the overall experience by creating a better, more enjoyable, and more successful player, coach, and club development model. 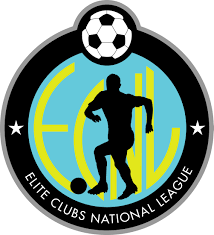 On Tuesday, April 28, 2009, the Elite Clubs National League ("ECNL") announced the inaugural member clubs for the 2009- 2010 season. The ECNL will kick-off its inaugural season at the Eclipse Select Challenge Cup August 14-16, 2009, in Chicago and will continue with year-long competition in conjunction with multiple national showcase events that culminates in the ECNL National Championship in Seattle in July 2010. In addition, the ECNL will provide a subsidized player identification program for players to be scouted for youth national teams in conjunction with US Club Soccers id2 Program. In 2009-2010, the ECNL season will feature 40 of the top youth girls clubs in the United States in the U15-U17 age groups competing in a 12-game season. Te ams in the ECNL will compete for individual age group ECNL National Championships and an overall ECNL Club National Championship. In each age group, teams will be placed in two flights of 20 teams each, (Challenge A and Challenge B), based on team strength. The ECNL will host stand- alone events and partner with existing national showcase events for completion of a 10-game regular season. Upon completion of a 10-game regular season, multiple four team playoff groups in each flight will be established based on the regular season standings. The top four teams in each age group in the Challenge A division will compete for the ECNL National Championship and the winner will be crowned the age group ECNL National Champion.